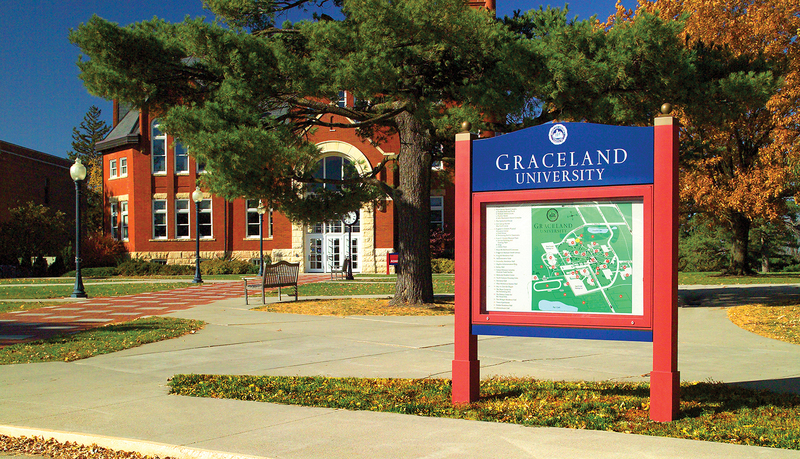 Graceland University was founded in 1895 is dedicated to providing all students an education grounded in the core values of caring and community. 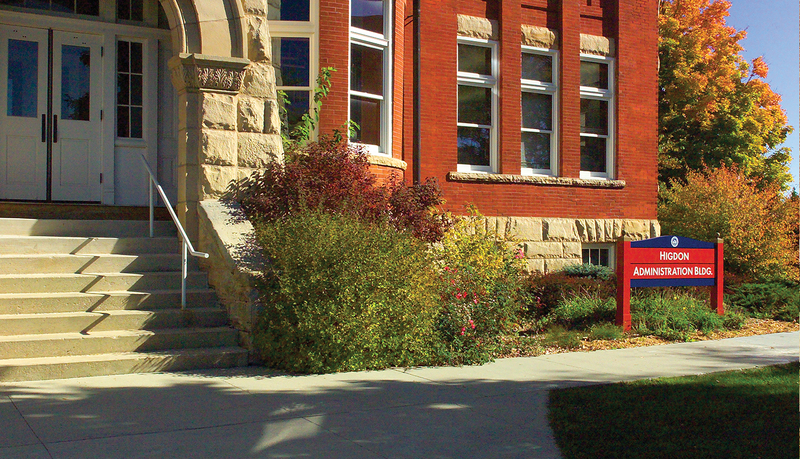 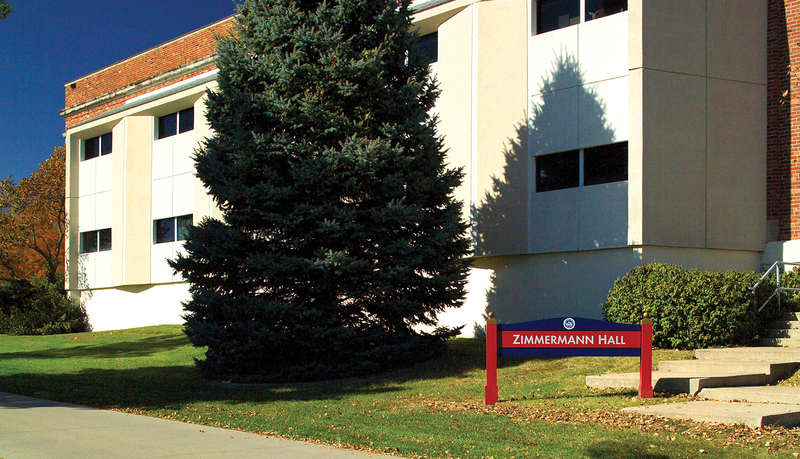 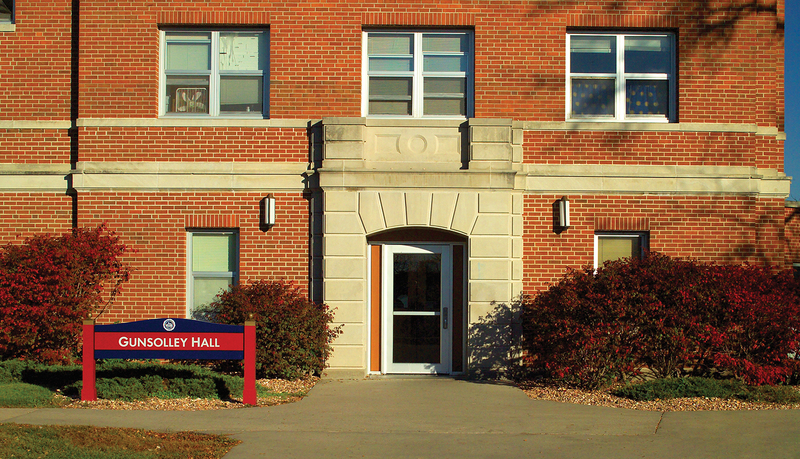 The Lamoni, IA, campus is set upon 170 rolling acres on the border of Iowa and Missouri and serves a diverse group of more than 1,200 undergraduate students. 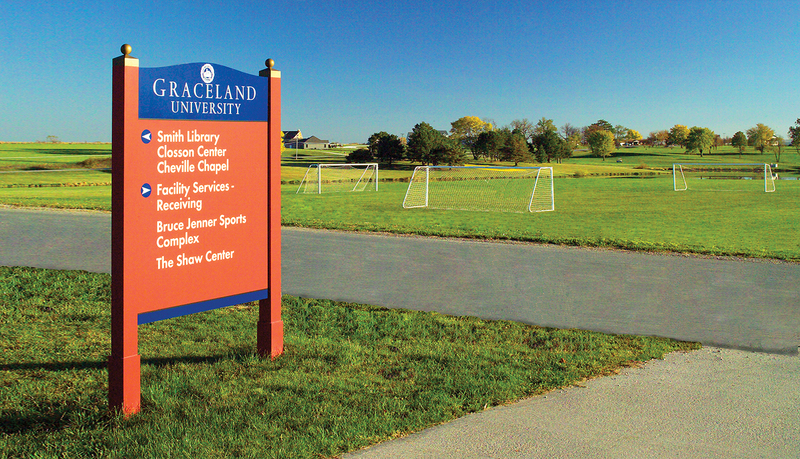 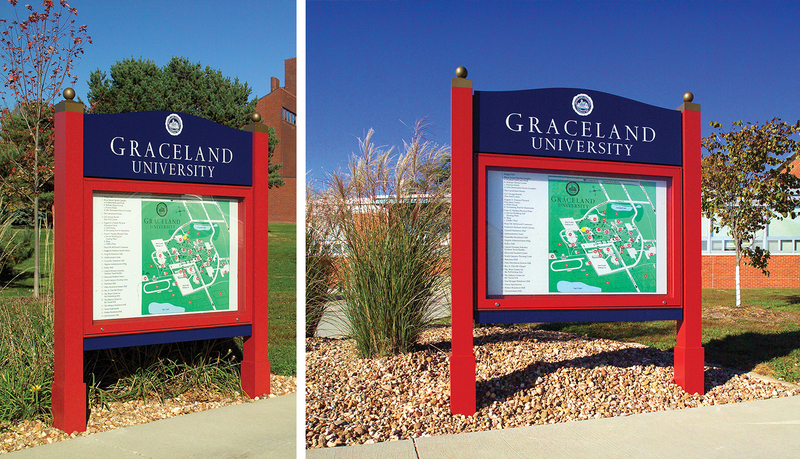 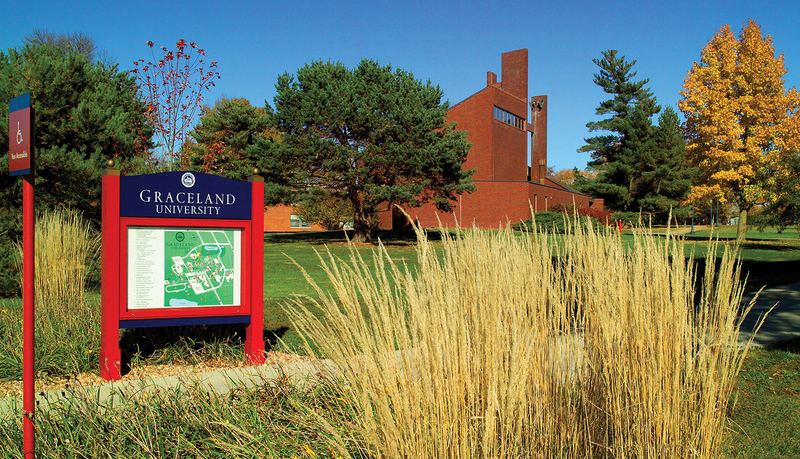 Graceland University needed an exterior campus wayfinding system to guide students and staff to their desired destination. 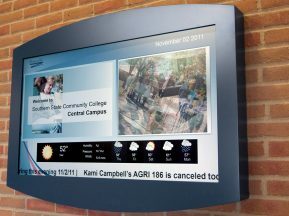 The wayfinding solution had to be efficient and easy to understand at a moment’s glance and provide signage for building identification, traffic control, campus directories and site identification. 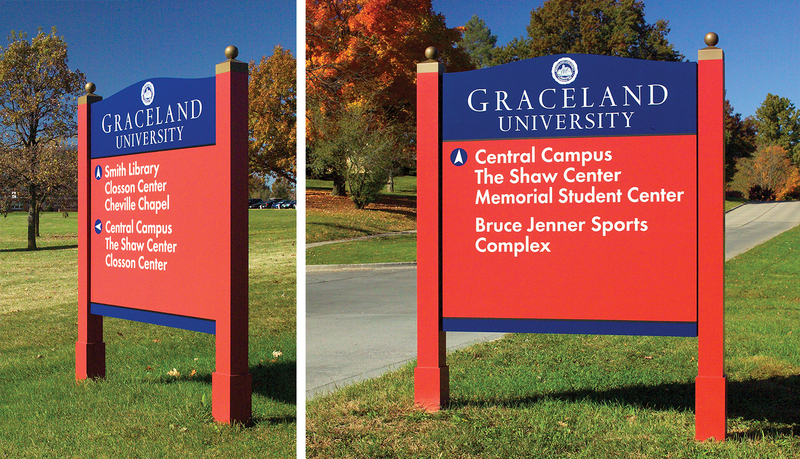 The university, along with architects Gould Evans Goodman Associates of Kansas City, MO, needed an experienced and trusted signage solutions provider to create an exterior sign system that met all the required design and wayfinding requirements and deliver the solution on-time and on-budget. 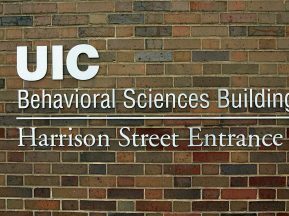 In addition to the exterior system, a major rennovation of the science hall required interior signage and a large, custom donor recognition wall. 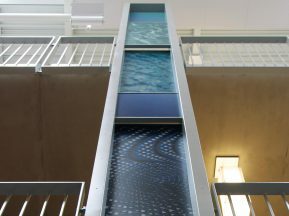 ASI brought the client to tour the manufacturing facility and to discuss design challenges based on the project scope. 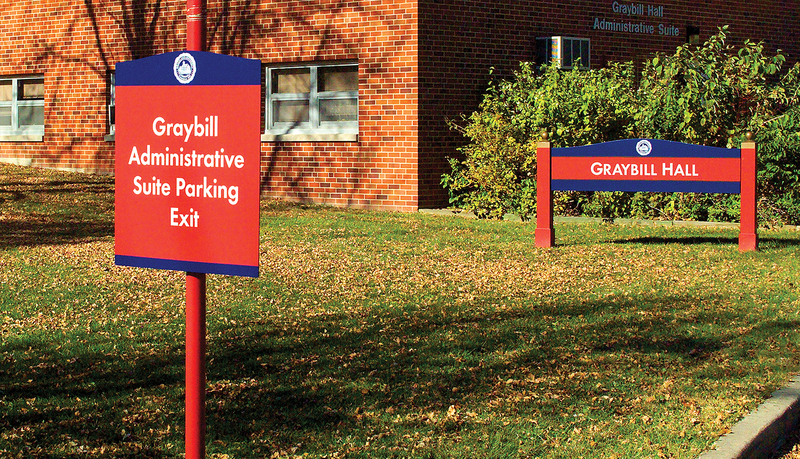 As a result of the meeting, ASI created prototype signs that were then evaluated and developed into a final signage design. 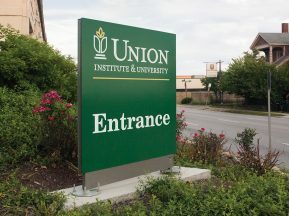 ASI recommended the custom aluminum signage, manufactured from heavy-gauge aluminum, to meet the custom design requirements while providing a durable, elegant solution. 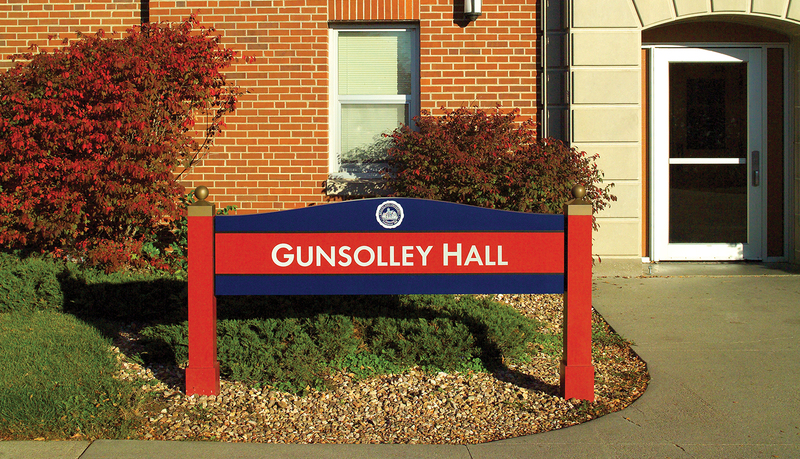 The solution also met the needs of a vandal resistant solution. 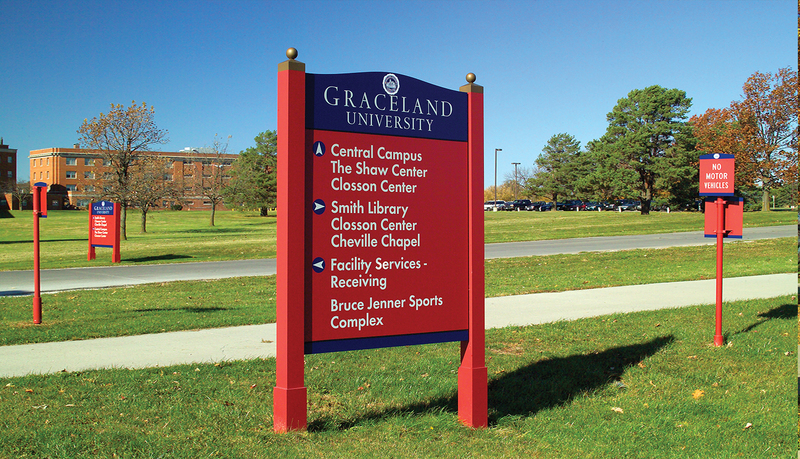 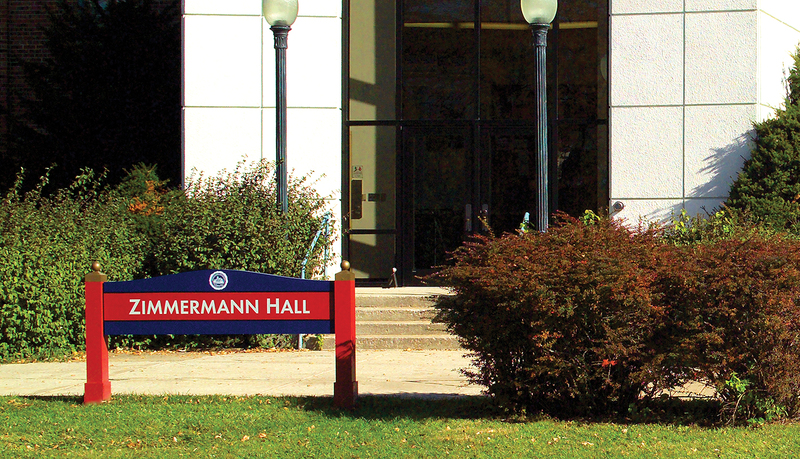 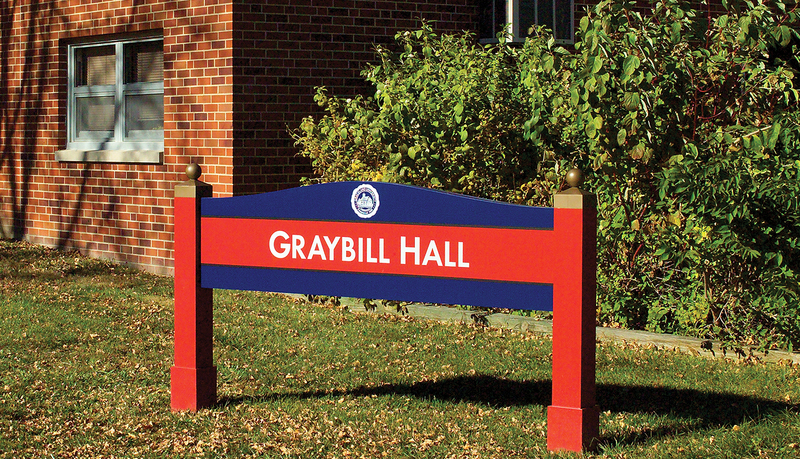 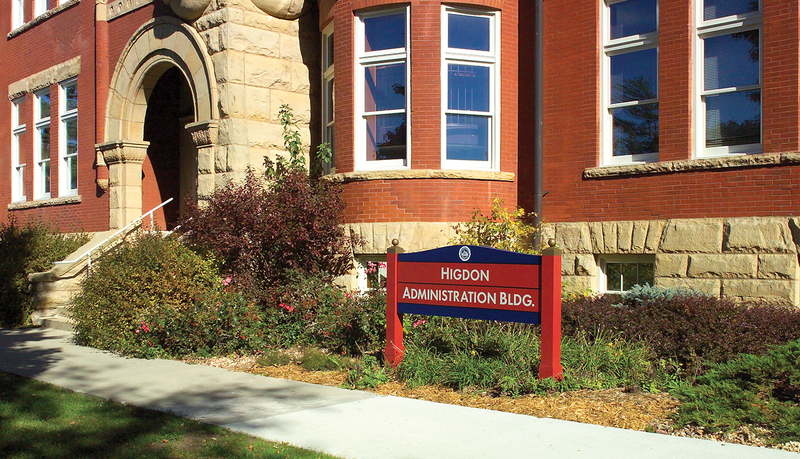 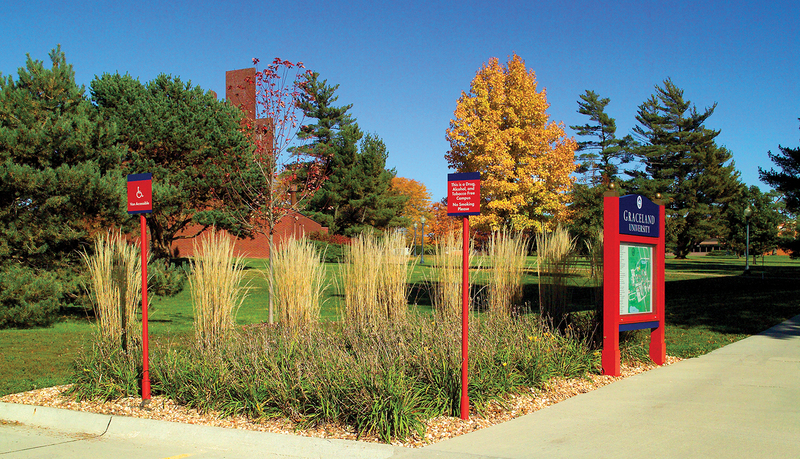 All freestanding signs were designed with square posts with finials and ball caps to incorporate and complement the existing architectural designs found throughout the campus. 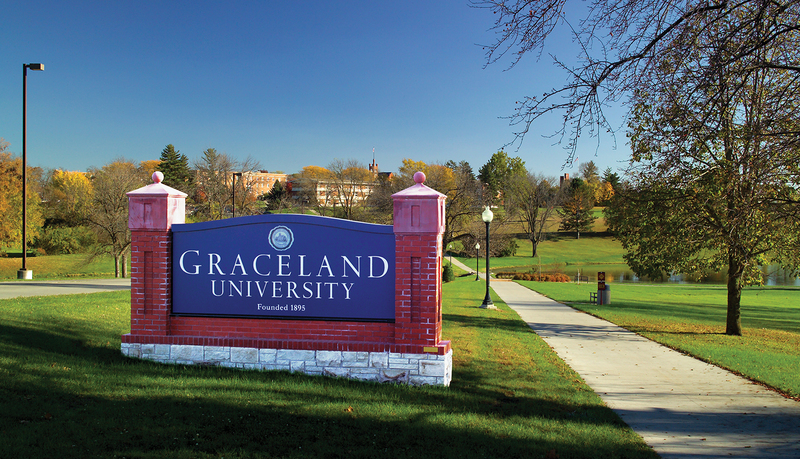 To incorporate Graceland University’s brand standards, digital print appliqués of the Graceland University seal were placed on all main site monuments, directional and building identification. 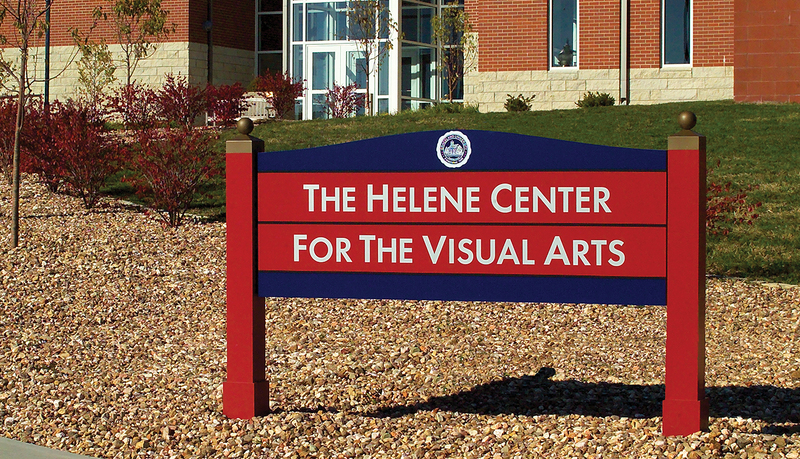 The custom interior signage for the science hall reflects chemistry and science. 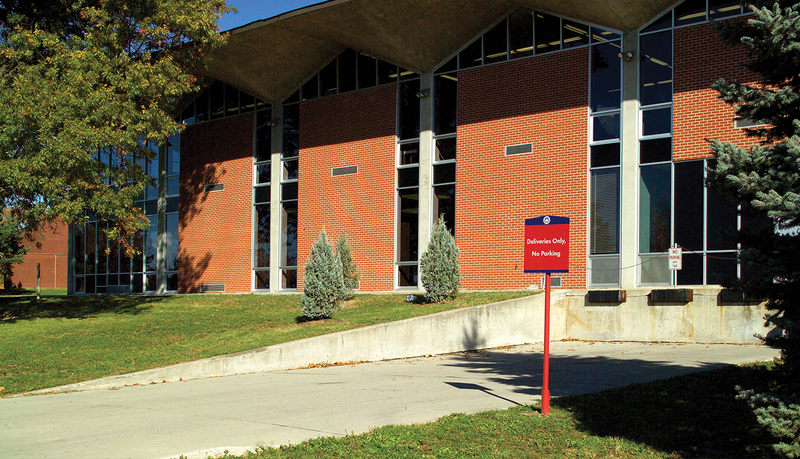 The use of clear acrylic and 3form materials complements the use of glass and light throughout the building. 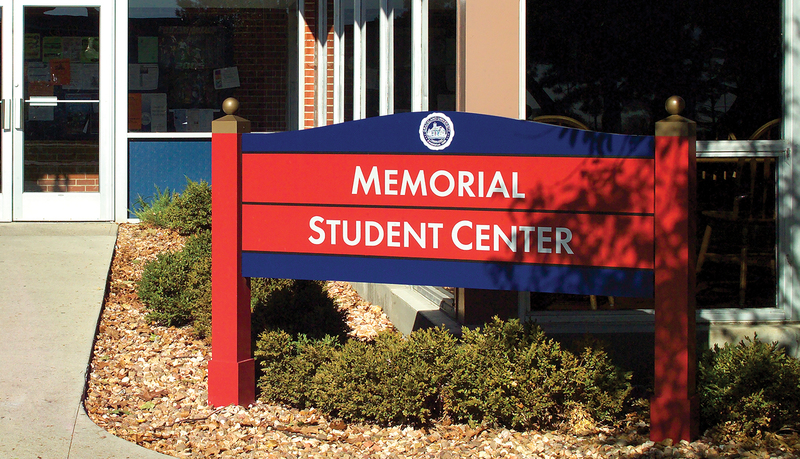 The custom donor recognition wall and the room identification signage establish the foundation for future donor recognition programs to take place throughout the campus.